Inclusion is often thought of as something to tackle after your team has some level of diversity. But the reality is that the conversation between diversity and inclusion goes both ways. In fact, when done right, diversity can be a direct result of inclusion. And when you already have a diverse team? Building an inclusive community can go far to make sure that everyone feels comfortable bringing their authentic self to work—and like a critical member of the team. 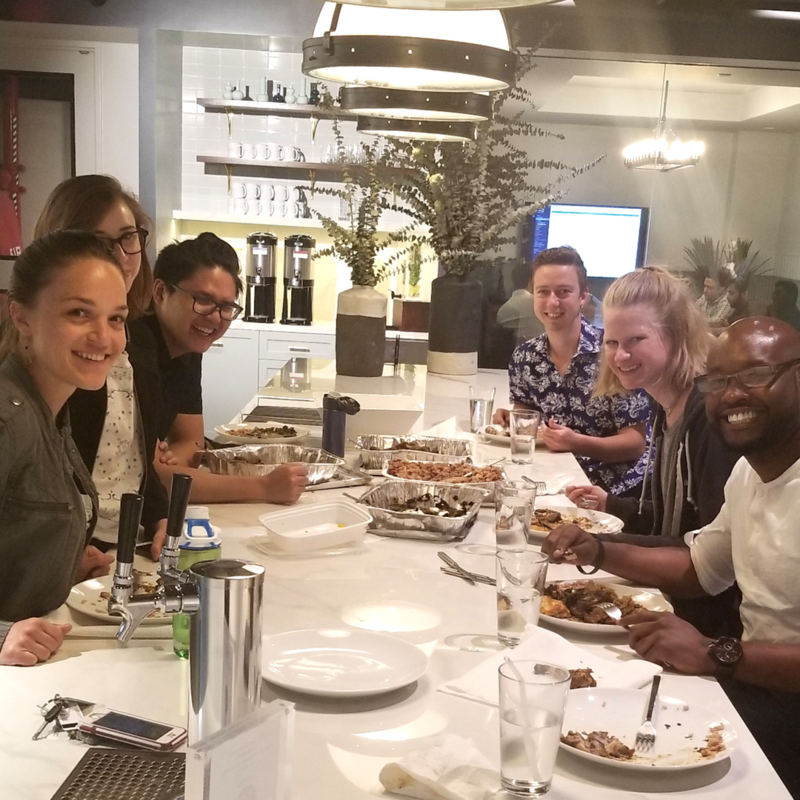 At Envested, I make a point that inclusion begins on day one, which one of the reasons why, even with fewer than twenty employees, our team is so diverse across race, religion and nationality. At a glance, we are Black, White, Asian, Christian, Jewish, Buddhist, Muslim, American, Russian, Sudanese, Kittitian and, even in the world of tech, more than half of us are women. Did we ever compromise on quality to get to this level of diversity? Absolutely not. Our team members come from schools like MIT, Princeton, Cornell and Barnard. They also hail from top companies like Google, GE and Goldman Sachs. I don’t say this to brag. But I do say this to show how powerful inclusion can be in attracting top tier talent to your organization—and making sure they stay. So, what are some tactics to build inclusion in your team? As a Caribbean American woman who has lived and worked in places from North Carolina to London and Hong Kong, I’ve experienced first hand a range of cultural differences. In the US, though, the norms of communication—the air you have to breathe just to get business done—often default to Anglo-American men. And this is just wrong. Not every culture embraces the strong communication style that we see rewarded in corporate America, and not every individual thrives in that environment. So when you have a diverse team, you have to be cognizant of how different people express their opinions and create a space where those opinions can be heard—in a way that validates the difference in perspectives. With this in mind, I make sure that everyone on my team feels like they can voice their views on anything from product, business model or company direction to where we're all going for lunch. This open communication also makes me feel more secure as a leader because I don’t have to wonder if my employees are holding anything back. Instead, I know that the decisions I make are informed by my team—which is great, because their opinions and reasoning are why I brought them on in the first place. Talk about ROI, this actually allows us to create a better company, grow faster and provide stronger returns for our VC investors. I have seen a lot of companies try some truly inauthentic and lame tactics to force relationship building. These 👏 never 👏 work 👏 Relationships are built because two people realize that they share similar values or interests. So, how are these actually uncovered? Most people like to think that they’ve adopted a fully integrated personal and professional life, but that’s rarely the case. At work, people tend to be more guarded because they’re focused on their performance and work security. It makes sense. But what most people don’t realize is that letting down their guard down can open the door for relationship building—and can actually improve the quality of their work. At Envested, we make a point as a team to create a comfortable environment where being social isn’t only an afterthought. A few months back, my aunt was in town from Manchester, England and one of my developers mentioned that he really wanted to try some Caribbean food. So, what happened? My aunt cooked a Caribbean feast for the whole team. Community Fridays - In urban culture, this is called a “kick back,” but it’s absolutely translatable for work. This is a casual, low key assembly of folks let’s say at 4 pm every Friday. Have some snacks, maybe a little rosé, and allow folks to just sit around and shoot the breeze. Stand up talks - What’s the point of having a team with such a diversity of experiences if you never get to hear about it? One way to encourage this sharing outside of meetings is through short TED-style talks over lunch about something they do outside of work. Why double up when each team member could just report back their findings? Learning together promotes peer-to-peer inclusion and forces us to think about how our roles build off each other. One thing we know about millennials is that, unlike our parents, we will probably have five different careers versus the one that they had. To use myself as an example, I started my career as a chemist, then moved to Wall Street before becoming a digital product manager in banking. Now, I am a product-focused CEO in software tech. I was only able to make these pivots because of my capacity to learn and the opportunities I was given to do so along the way. No matter what I do, the people who enabled these learning opportunities, who pushed me to grow, and who grew with me will be a constant part of my network. In this way, creating a culture of constant growth not only expands our knowledge base as a team—it also promotes community building in a powerful way. To sum it up, community building and inclusion aren’t just afterthoughts. They’re powerful in attracting top talent and as catalysts for company growth. But none of these strategies will work if you’re not being authentic as a leader and empowering those around you to be authentic. So before you incorporate any of these strategies, take a step back and assess your community, who your employees are and any feedback—both direct and indirect—you’ve received. Building slowly, honestly, and intentionally will take effort—but it will be one of the best investments you can make to scale a truly talented team.